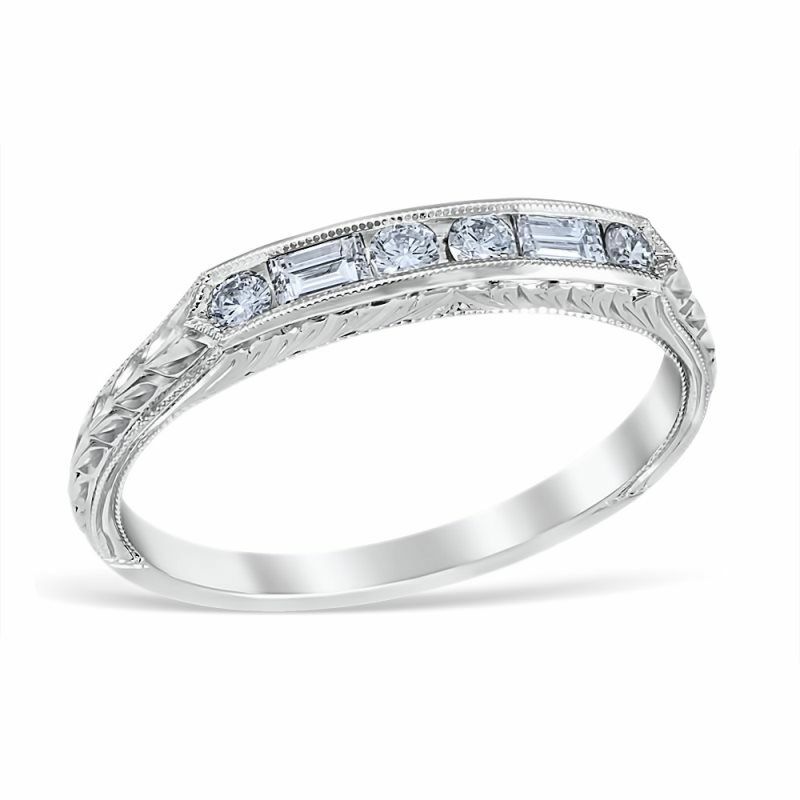 Whitehouse Brothers signature wedding band. 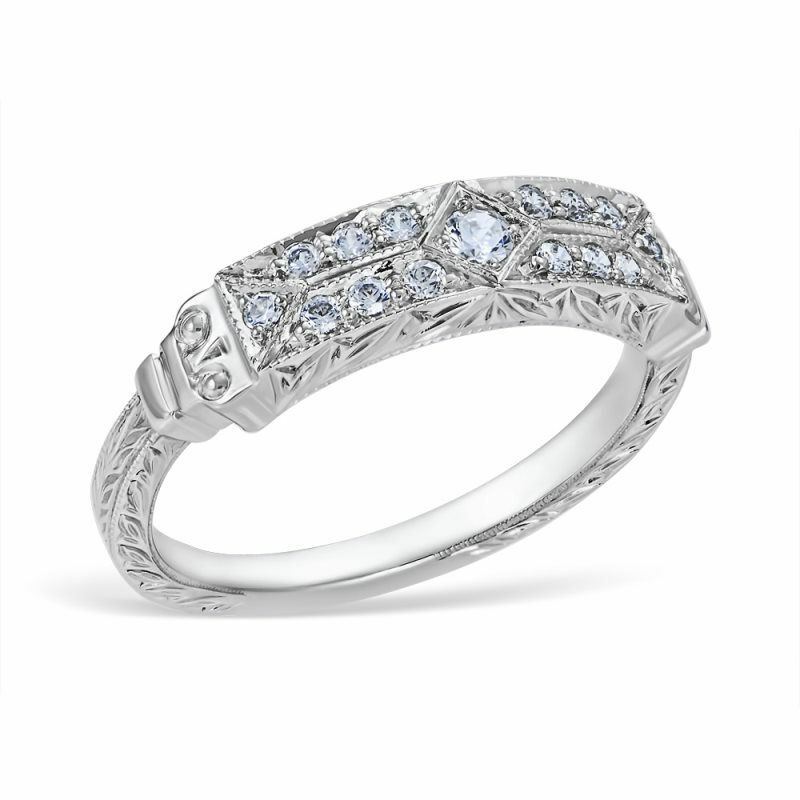 One of the very first Whitehouse Brothers styles ever designed "The Whitehouse" features a spectacular Greek Revival design motif from the early 1900's, adorned with bead set accent diamonds, and column-like shank. Lucia wedding ring showcasing 2 channel set baguette shape diamonds, and 4 channel set round diamonds, finished with beautifully hand cut engraving. Colonial vintage style wedding ring featuring a traditional western scroll engraving pattern. Available in custom mm widths, please contact for details. 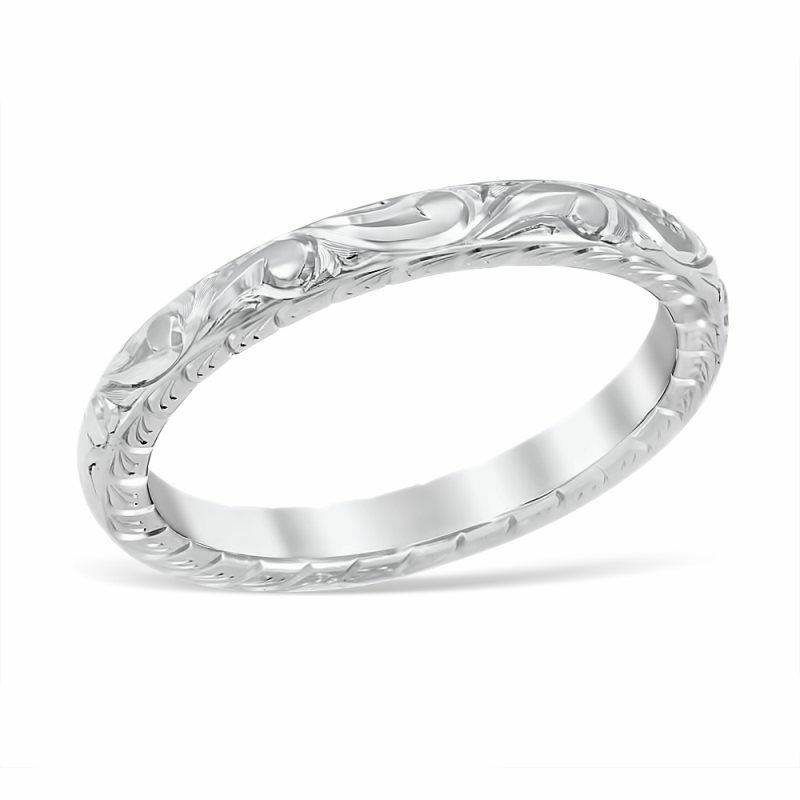 Silvana engraved wedding ring showcasing traditional bead and florentine engraving pattern. Alice vintage style wedding ring featuring a 8 bead set diamonds and delicate scroll engraving. Wedding ring to match Florin Leaf engagement ring featuring 7 bead set diamonds and engraving to match. 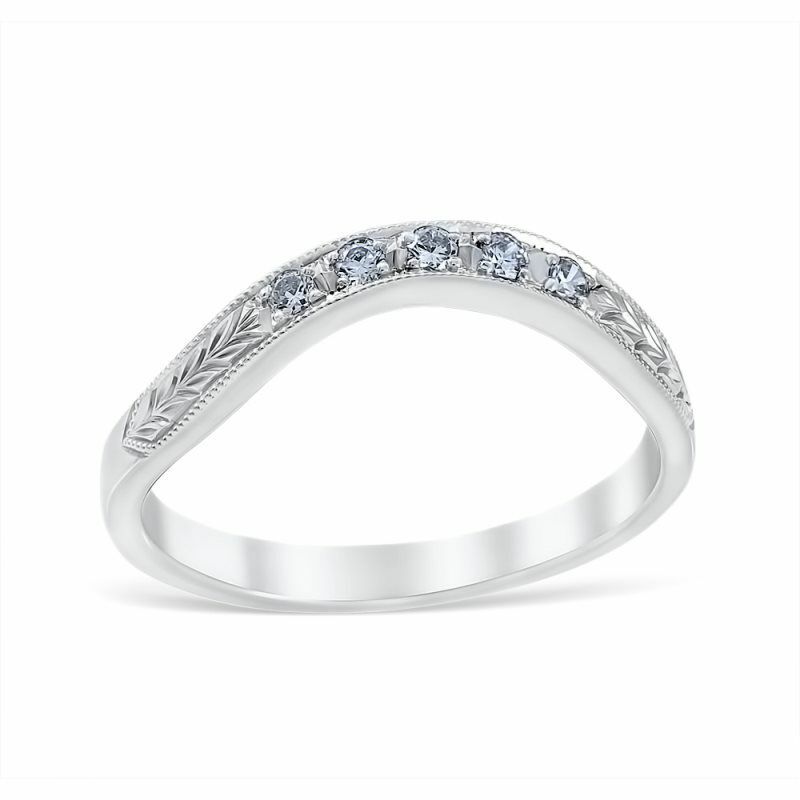 Wedding ring to match Romanesque engagement ring featuring 7 bead set diamonds and engraving to match. 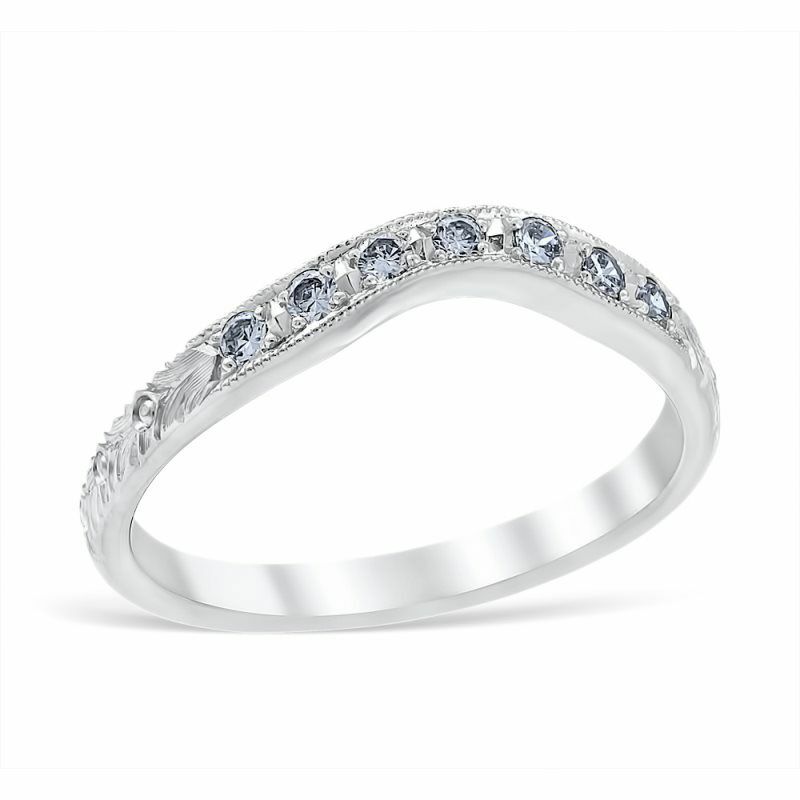 Wedding ring to match Palisades engagement ring featuring 7 bead set diamonds and engraving to match. 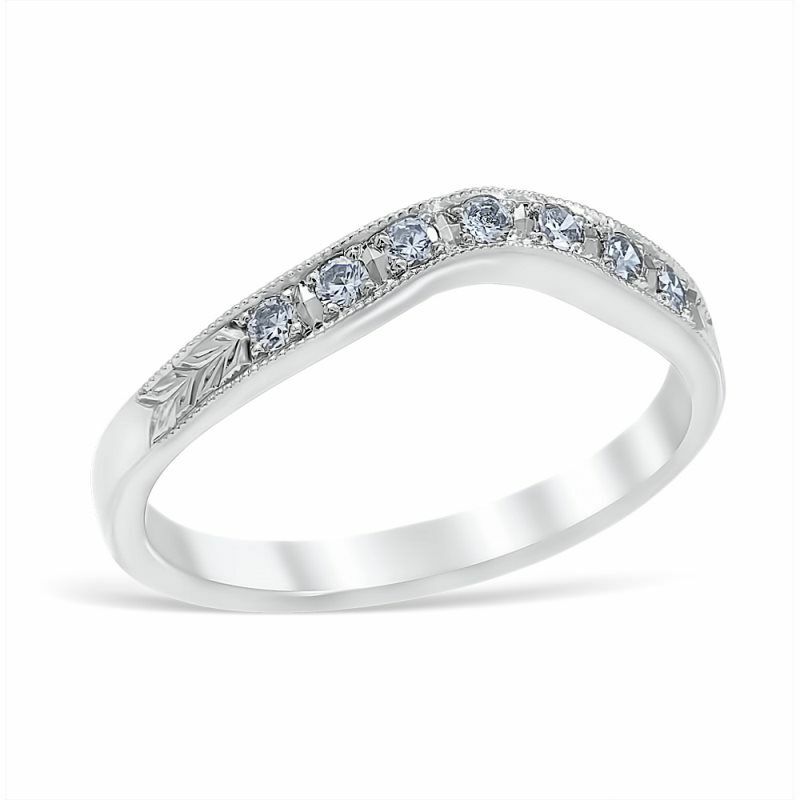 Wedding ring to match Floral Burst engagement ring featuring 5 bead set diamonds and engraving to match.